Our client is a highly ambitious, dynamic and rapidly expanding high street firm. Due to increased workflows they are seeking to recruit a conveyancing assistant to join the residential property team based in their Warrington offices. The firm is a well-established practice. The successful candidate will be a conveyancing assistant keen to embark on the next step in their legal career within residential property. This is a fantastic opportunity for an ambitious and driven assistant / paralegal with a keen interest in property law to get a foot in the door at a firm that can offer a great salary and great long term career prospects. Across Merseyside we have an in-depth knowledge our community and what works and what doesn’t. 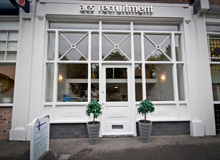 Our recruitment process has been developed to best meet the needs of our candidates and clients. We understand the need for a flexible, easy to use service. We have kept the size of our consultancy small, so our clients understand and have a good working relationship with our consultants (We believe that this is key to our success). We understand what you want and will tailor our process to your requirements. We believe that experience delivers excellence.